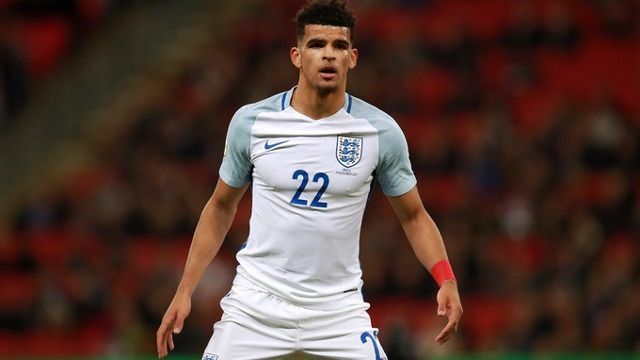 Even though he did well, we have to admit we were incredibly surprised when Dominic Solanke made his England debut during the last international break. Our 20-year-old forward came on against Brazil in the second-half, despite having started precisely zero English league football matches during his career. In fact, he’s only made one senior start in English football, including his stint at Chelsea, making Gareth Southgate’s decision all the more eye opening. Now, his case is being used as an example of why English football needs revamping to make sure the country’s best young talent is actually playing competitive football. Aston Villa manager Steve Bruce thinks the likes of Solanke should be on loan to lower league clubs in a feeder club system, where bigger Premier League teams have ongoing, active relationships with smaller ones and loans are more fluid. “We need the larger clubs to have associations with the smaller ones,” Bruce told the Mirror. “Feeder clubs? Yes. The general consensus is that the Under-23s isn’t quite working. “If you play when you are 18 and you are successful, you need the next step. “At the moment, we’ve got the ludicrous situation of Solanke playing for England when he’s hardly had a game with Liverpool. That can’t be right. “We have young players all over the country doing well – but not playing. “Surely any young, talented player would prefer turning out for the likes of Forest Green, Bury, Oldham Athletic – you’re better playing there for three months and learning your trade than in the Under-23s. While Bruce does have a point, Solanke is way too good for lower league teams and is developing so well because he’s learning from Jurgen Klopp. We think he’ll continue to get minutes this term before establishing himself as a starting option next term.